I’m running out of time today, so I don’t have time for a full post. However, I did find this article over on another site which lists 10 Mobile Video Apps For Your Business. There are some well known video apps in this list and some that I had never heard of. The SeeVogh app lets you attend a SeeVogh videoconference. You will need a SeeVogh account or a SeeVogue meeting identifier, but after doing all that, you have quite a powerful business video platform. SeeVogh is a multipoint, high-definition, video collaboration platform that runs on iOS, Android, Mac, Windows and Linux devices. I have to admit that I’ve never even heard of the SeeVogh service, however I will be checking it out and possibly writing a review in the future. Of course this is the perfect video app if you already use the SeeVogh service. ooVoo is another video app that I have never heard of. So it goes into Evernote on my list of apps to check out and possibly review. 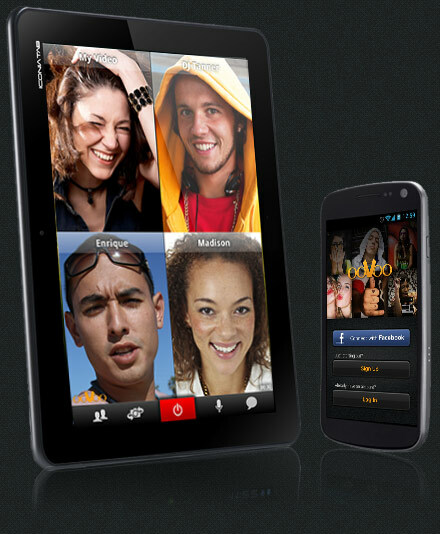 ooVoo claims to be the best at video calls. Apparently, 70 million people use the service today. Most importantly, it provides multi-stream video calls with up to 12 people at the same time. That should be more than enough for even the most important of business meetings. Oh, and it’s 100% free. Anyway, head on over to iPad.Blorge and check out the full article and see all of the video apps.